We're still Shaping-Up for the New Year ... creating shaped cards (anything other than squares or rectangles will do). Lauren says, "Here's another example of choosing a clipart image and re-sizing it to make the perfect customized shaped card. 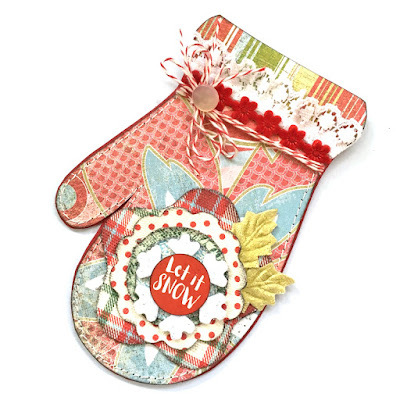 In this case, the mitten is about 6" tall and nearly 4" wide at the thumb. Yes, I raided my treasured hoard of classic Basic Grey papers! 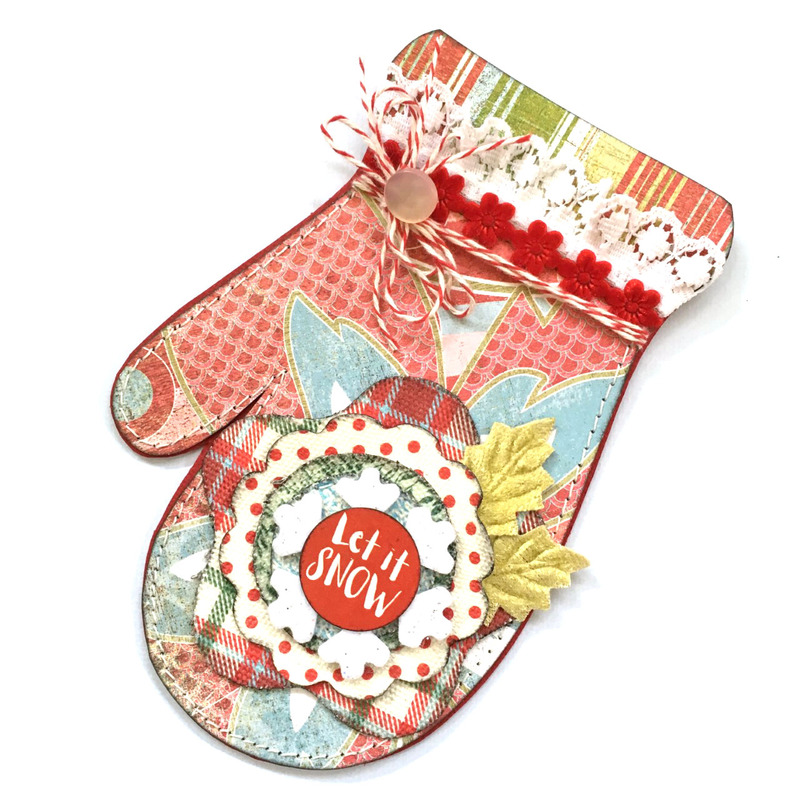 I layered up all of my design elements to make the prettiest and most fanciful mitten imaginable, then affixed it to a folded piece of red cardstock and c-a-r-e-f-u-l-l-y cut around the whole thing to make a card that is mitten-shaped but does actually open in a traditional way." 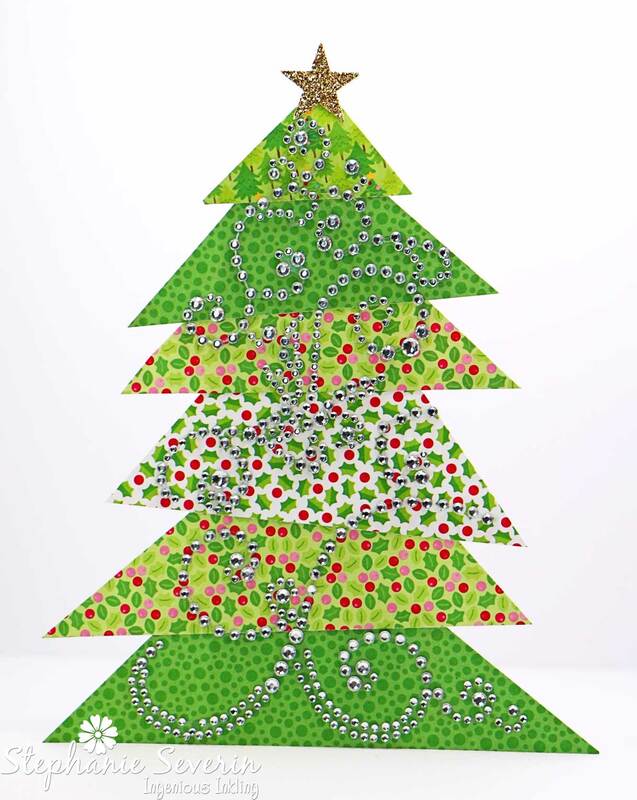 Stephanie says, "I turned one of my wonky Christmas Trees into a stand-alone card. The tall skinny card attached to the back also works like an easel, so the tree can stand on its own on the recipients mantle or desk. 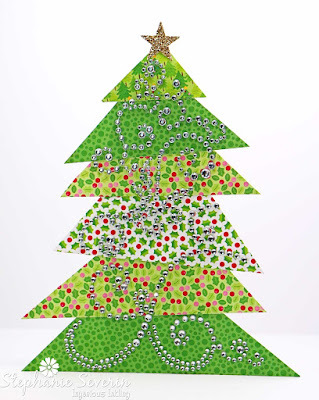 I used four different green holiday papers from my scrap bin cut into triangles and decorated my tree with lots of clear bling and a gold glitter star." Remember, there's a prize for one lucky participant this week. 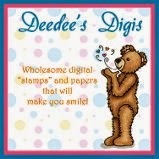 Make sure you upload your cards by 6pm EST on February 13th for a chance to win. These 2 DT cards are fantastic!!! 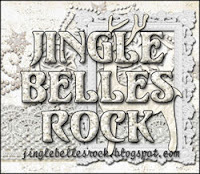 Love the mitten and the blinged-out tree!! !